I’ve been listening to my system quite a bit of late and after around 5 days of breaking in, I feel like the your Ultimus3 USB cable is a fantastic audio upgrade to my system. As good as the Optimus3 is…and it is the best sounding USB cable I tried until now.….This cable has even better resolution, better imaging and further refinement of the sound of instruments, such as string instruments and piano. Dynamics are also a bit better, especially micro dynamics. Maybe not huge differences and to many, maybe not a big deal, but here, it is. Regarding the intermittent popping noise I have been hearing, I pulled out an iFi Purifier2 I used a while back an connected it to the USB side of my DAC and no more popping. I’m not sure why this is the case, but most guys I know that listen to computer base systems have experienced this, even if they aren’t using USB. This is it. I started using the iFi device with the Ultimus3 and haven’t removed it. The stereo sounds so good, I feel like I don’t want to mess with things, so it will stay in my system for a while longer. However, if you wish, I will pull it out at some point to give you feedback for how the Ultimus3 acts in this regard. In any event, I am very pleased with the Ultimus3 and thank you, once again, for your great service. You will be hard pressed to find a better product at a better price. 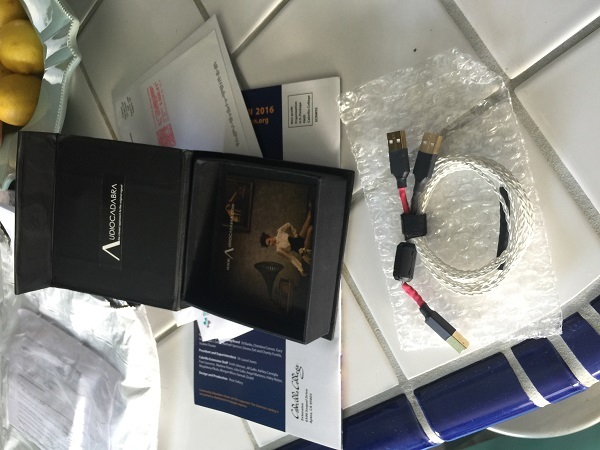 I purchased four Audiocadabra USB cables for various systems in my home, and my confidence was well rewarded. These cables are dead-quiet, smooth and revealing. They are quick starters but as with any cable, they will improve with break-in. However, even cold, the difference was instantly noticeable. My son, who got one for his system, also reported instant improvement. Communication was great. Delivery was swift. There’s a reason I bought four of them. Good guys. Unbeatable prices. Fast delivery, too. You may have to deal with a small import fee. Even so, major bang for the buck. Well done! Very nice cable and sound is remarkable. Clear and very musical even before fully broken. Handles shipping etc efficiently. Highly recommended! They sound great right out of the box. 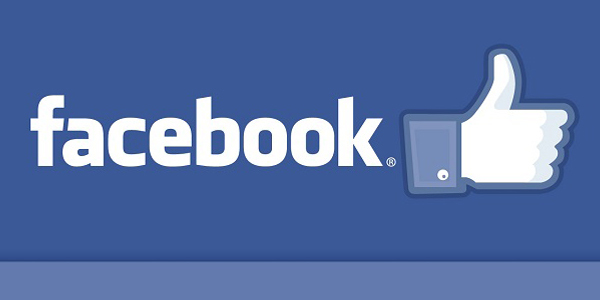 I’ll happily leave feedback for you…can’t wait to see what they’re like after the break-in! Thank you. Unsurprisingly, they’re great. My first impressions are that generally they convey more of what I want (speed, definition, ‘air and bloom’ and overall realism) and less of what I don’t (glare, smear, murkiness, etc). They’re probably nearing the 50 hour mark of playtime at this point; I will leave them running over the weekend for your recommended 100 hour break-in period. Thank you for the follow up. I hope to get the speaker cables soon, and look forward to trying your power cable at some point as well. They have arrived and are being broken in right now. Superb right out of the box! Your products really are special. Thank you. The Audiocadabra Ultimus3 Solid-Core Silver Analog XLR Cables sounded very opened and with good resolution. The sound stage is bigger and the sense of 3D is elevated. I feel that these cables suit musical genres like orchestral and opera very well. The highs are smooth, extremely airy and never fatiguing. I can listen to them for long period of time without any problem. The bass and overall frequency range is well balanced. They just sound very natural. I like these cables very much. I like your cables. It sounds really good. But it’s such low priced, that you will kill all the market! Especially with additional free postage. That’s incredible! If your modulation and HP cables are as good, it’s frightening for me, it’s will kill all the high end cables good margins! I am starting to love this cable, It has really started to come alive. I am a little over 50 hours. The soundstage is bigger, bass is deeper and the instruments have more sense of space, very focused. I can’t wait to see what it does after 100 hours. Thanks. After having burned in the Ultimus 3 solid silver dual-headed USB cable for about 200 hours, I have only one thing to say about this cable: Impressive! Right out the box it sounded smooth and detailed with the same level of resolution as my reference USB cable, a single-headed TZ Yun Red which costs three times as much. After burn in, the Ultimus 3 surpasses this cable and delivers a very organic, analogue and balanced sound. It’s an epitome of neutrality. So the Ultimus3 far exceeded my expectations given the price. This cable is an extraordinary bargain. Period. The workmanship is also stellar. Highly recommended! Feels as if a smoke screen has moved out, as if my specs just got corrected, my camera lens got calibrated… Suddenly, everything is crisp, much clearer, more focused! 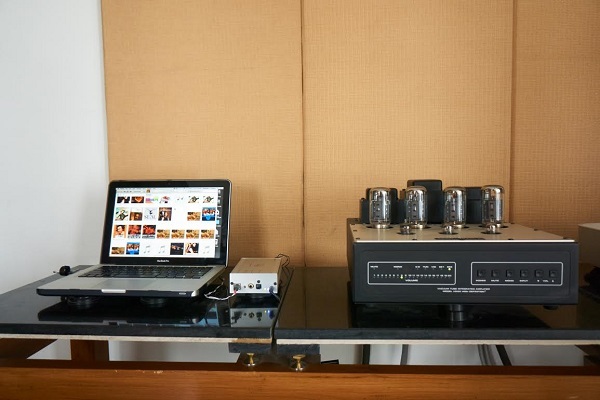 The Musical Fidelity V-DAC II was finally connected to my Stereo system using the Audiocadabra Optimus USB cable. There was a delay in downloading an appropriate 24 bit player and format converter for Mac. In fact, it took couple of days to figure out the right combo. I have narrowed down to ‘Audirvana’ for playing and ‘XLD’ for format conversion. I am listening to music for longer hours. The music is no longer ‘in-your-face’. The Old Hindi songs especially sounded like Vinyl and more ‘Live-like’. 24 Bit tracks, though I could not really feel the extra resolution, was very good. Especially the ‘Georgio Giovani’ Track. 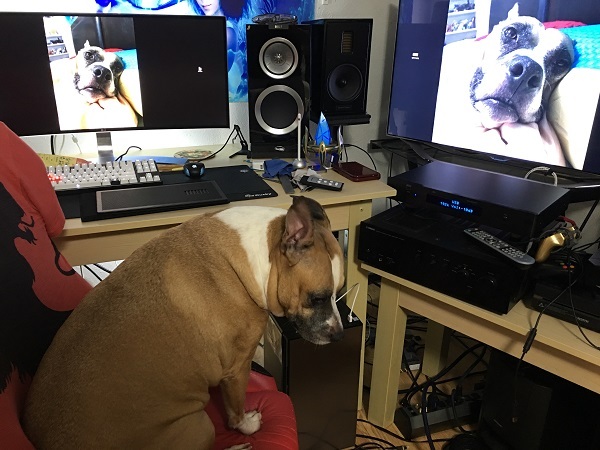 Let me begin with thanking you for all your help and advice which is helping me tremendously in upgrading both my Stereo and my understanding of the subject. 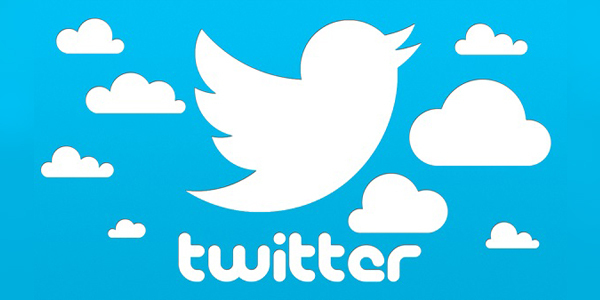 All the recommended tweaks have helped in improving the image, and was apparent in every stage of implementation. I received your cable today and it works well and sounds good, even fresh out of the box. Even with the cable plugged into my iMac, it sounds great. Real open and real dynamic!! The cable is the best I have of four…by a long shot. The cables sounds great. Maybe the best cable upgrade I’ve ever made and certainly the best USB cable I’ve tried among many, including AudioQuest Coffee and another well respected cable line, whom I am a dealer for!! The line I am a dealer for is easily the best of the rest, but even connecting both ends to my iMac, your cable is better sounding and not by a small margin. Good for you….Simple is good…. The sound does develop over time. 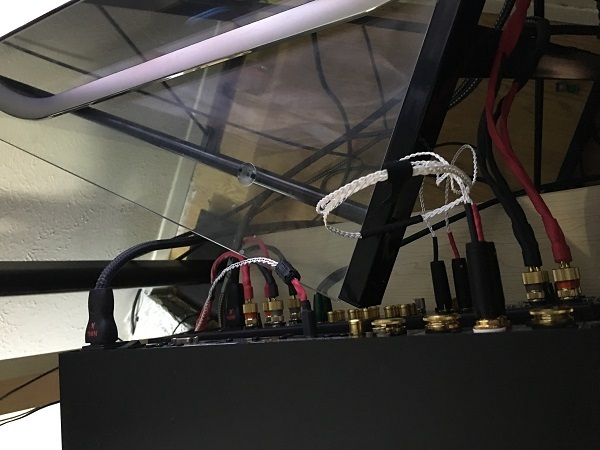 They take more than 60 burn-in hours or so to sound significantly better than the stock cables (you mentioned more than that on your website); however, they already sounded cleaner and have a darker background when new. Sometimes I wonder whether my ears, brain or the cable is the one that needs to be burned-in. By comparing the Audiocadabra and the stock cable side by side after several weeks I am pretty sure burn-in does result larger differences. The cable arrived, thank you for the bullet proof packaging. It is wonderful to handle, and most of all sounds impressive right out of the box. While burning it in, i definitely can hear some further improvement in sound quality after 3 days. The Ultimus 3 is as you described better than the version 2 in every respect , by a small margin but still noticeable, which is not easy as version 2 itself is very good already indeed. I am thinking whether you would come up with a short USB cable offer like the 20 cm Regen Link from curious cable. You know iFi had come up with a whole host of add-on’s and each release has its own incremental benefit to the SQ of CAS. 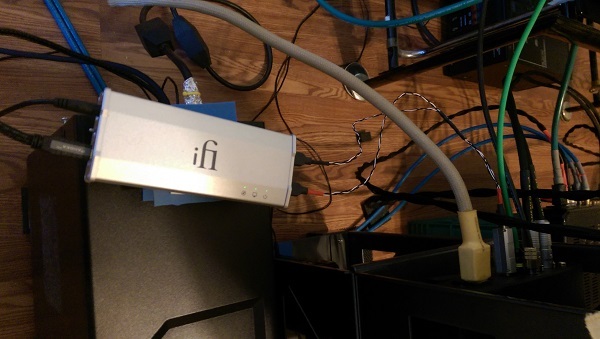 I recently added iFi’s iGalvanic 3.0 upstream to my iFi iUSB3. Now my chain of gears became: Mac mini–> Ultimus 2–> iGalvanic 3 –> curious regen link –> iUSB3.0 –> Ultimus 3 —> DAC. In my previous A-B comaprison, Ultimus 2 beats Curious cable in musicality and life-like-ness. So am thinking to add another one to replace the regen link. However, the length of 50cm seems to be excessive (the always-desires-to-optimize mind resisting the idea to add longer run than regen link), and am struggling now. I believe a lot of CAS players are like myself, and if you would offer such 20 cm short cable option for the single-headed version, of course at a slightly lower price-point to sweeten it, this could open up another market segment. 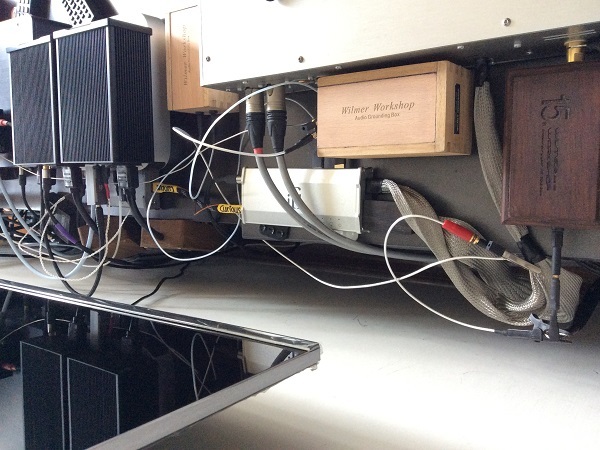 The far end shows Mac mini feeding to igalvanic 3 via ultimus 2 split head, fed by lps. Look forward to seeing the 20 cm offer on your site! Thanks again for making great USB cables at such competitive cost! I posted this on the Hifivision Site. 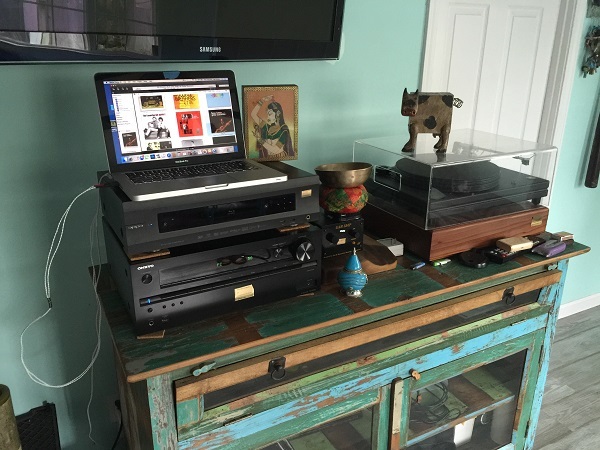 Prem’s suggestion for computer audio goaded me on and now my computer sounds better than my cd player and easily rival’s the vinyl. Warmish, reasonably transparent, fluid like bit of tubes, relaxed without any kind of fatigue. Three cheers for make in india -audiocadabra which substantially lowered the noise floor to expose and make my denon amp struggle to perform at its very best. As promised here is my testimonial. I did not find a way on your web site to post it on line. 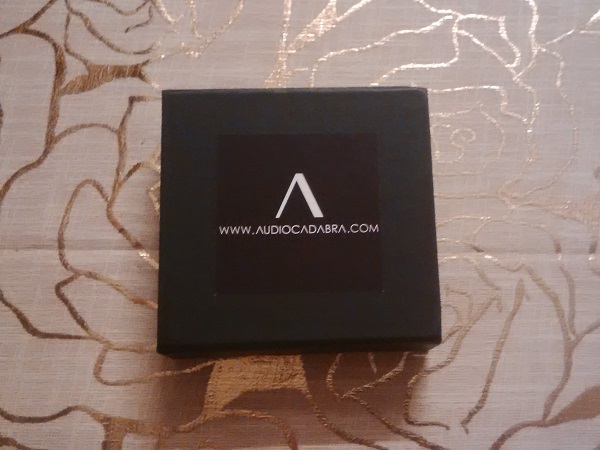 I purchased two USB cables from Audiocadabra, uncertain as to whether a dual headed cable would be required for my DAC and intending to sell which ever cable I did not require. I received the cables within a short time of placing my order. The manufacturing quality is excellent and I love the minimalist design. Separation of the power conduit from the data conduit makes a lot of sense to me. The single headed cable sounds marvellous with my Wavelength Brick USB DAC. I will be keeping both of these cables as they represent fantastic value and I know I will use both over the coming years. The ultimus II USB cable is just fabulous. Immensely musical, close to real presentation, high and low ends are well balanced and textured. At the price it’s a steal! I have a strong bias for silver wire, split head design and twisted wire without heavy shielding, and your offer is exactly that at such an attractive cost. I wouldn’t say it beats every other USB cable, coz I have not listened to every one. However it’s a much better deal than the WW Starlight platinum in terms of communication of emotions and ease of listening. Thank you for making such a great USB cable, and I wish you every success as you guys deserve it! I received my Optimus Dual-Headed USB cable from you today, and couldn’t be happier. Straight away it is sounding relaxed and detailed with my various setups. Definitely a keeper, and a wonderful surprise at this price point. 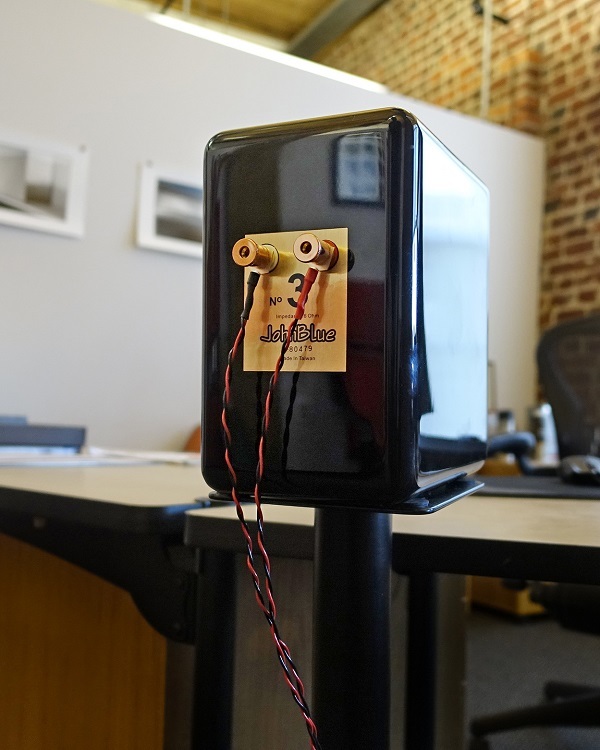 Here’s a picture of your cable in my office headphone station – BTW, the cable works very well with iFi Audio products. 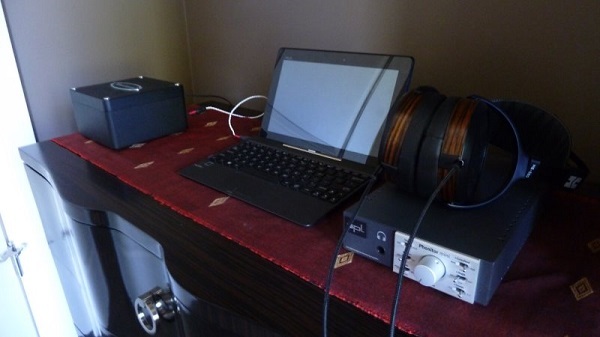 The setup in the photo is with a NOS DAC that plays 16/44kHz. 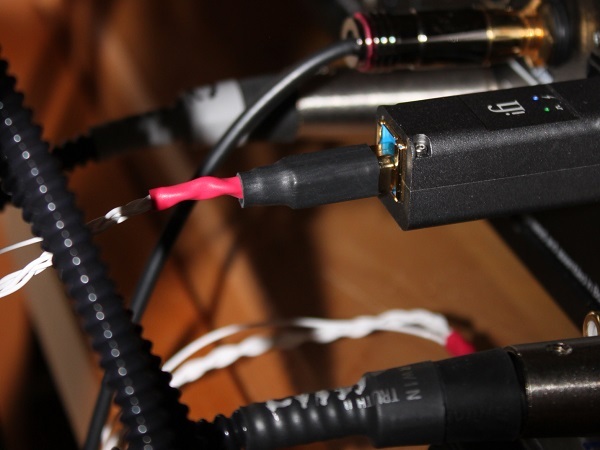 I’ve also used the cable with my iFi Audio Micro iDSD, which plays PCM to 768kHZ and DSD512. I am using your USB cable now for about a month and it is feeding my exD USB to SDIF converter from a JCAT USB card. The exD converter is feeding the SDIF input of one of my dCS Elgar Plus DACs. I am very convinced by the quality and sound of your cable and I have never felt the need to change it out for any other cable. The USB cable is simply producing a very clean and transparent sound and I never felt the need to switch to one of my dearer USB cables, as the Optimus is simply very good. I must say, well done! Cables arrived. 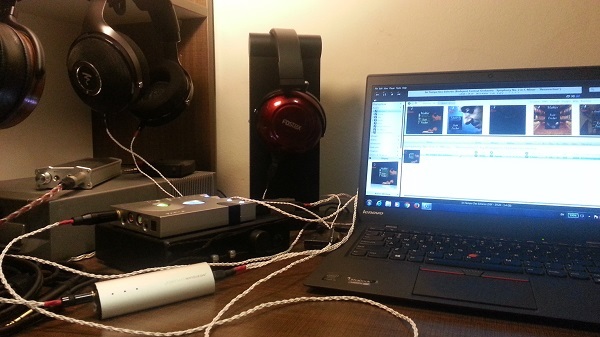 I have yet to use the USB cable, but I am loving the sound the speaker cables introduced! Saving my pennies to get another set. It turns out it was the input jacks on my Sennheiser. After a few struggles to plug in and unplug them, it got a lot easier. I think they just needed to be loosened up a bit. Now I can swap them fine now. So the jacks are no longer an issue, and I like that they are color coded red, with visible stickers instead of the terrible hard to see labeling of stock cable. I did another side by side test this way and I think I hear more clarity, but I’m going to burn them in with pink noise for a few days and test them again. After 100 hours break in, the sound did improve. They definitely are worth keeping, and I’ll be mentioning them regularly on Head-Fi and on pro audio (studio / recording) forums. The HD650 are popular with us engineer folks due to their accurate mids and non-fatiguing highs. Your cable preserves and enhances that. Once again, solid core copper can’t be beat. I have no photos for you as it’s just on the output of a firewire all in one box (mic preamps, MIDI, etc.) connected to a computer. Really nothing to see. 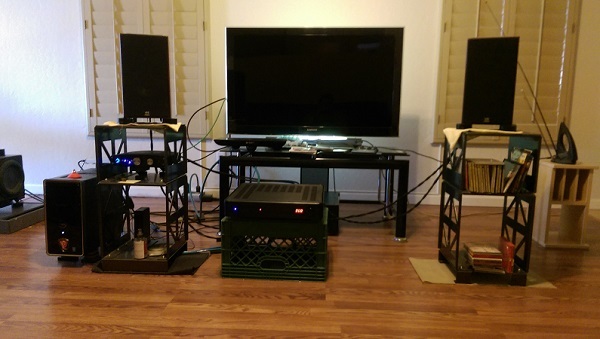 I’m pro audio vs. audiophile, it’s a boring looking setup. But I will be name dropping Audiocadabra (I already have twice in the last two days) in various forums. I’m not alone in being a “solid core copper” advocate for wire. Great USB cable! Your cable first try knocks it out of the park!!! USB Cable sounds amazing—20 hours burn in. Beautiful, clear, quiet, organic so easy to listen to like in as listening to Doug Macleod Black nights. Your double headed cable is beautiful and it sounds clear enjoyable. Going on thirty hours in my system getting better by the hour. We bought our Oppo 105, MacBook Pro and your double headed cable up to our new house in Cloverdale Ca. North of San Francisco. My system up there is also a Onyko Tz-NR838 Naim streamer and two Elac B6 speakers and their center channel speaker. Wow omg! 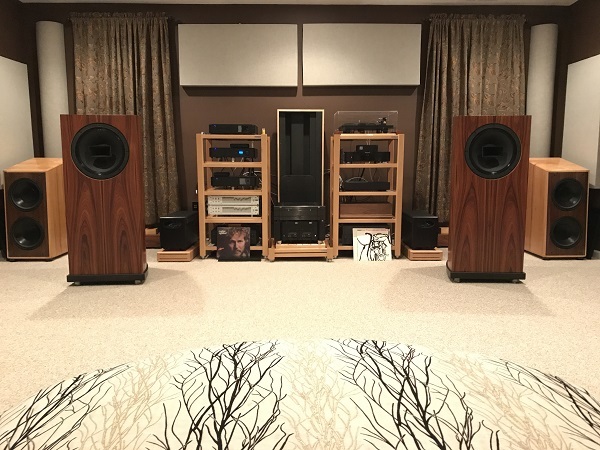 What a difference from in ceiling noble fidelity speakers. 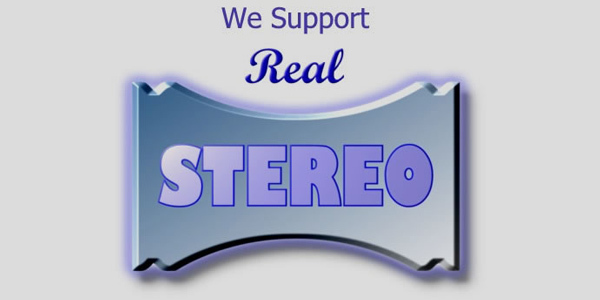 To the Tri stereo set up at ear level. You are inside the music. Your cable clears a straight path to the live music. I’m so impressed at you and your team! Your Cable is so amazing! Thank you for making us very happy. It’s like listening to air with beautiful music mix in. I’m hooked! The cables sound so natural, thank you! After run-in, I no longer can hear any sound signature of the USB cable, i.e. it sounds very transparent to me. It allows the music to pass through without restriction, the sound I get is very open and big-sounding. This is no small praise as I was previously using a Acoustic Revive 1.0 PLS USB cable which is almost 3x more expensive. I would have no hesitations recommending for people looking for a value-priced, but certainly not value-performance (performance is better than what one would expect from a value-priced product), dual-head USB cable. As mentioned, it would be good to offer customers an option of the MKI or MKII cable. Just letting you know that Achtung Audio Pure Solid Silver Phono RCA Interconnect Cables from eBay was the cables I’ve been using and also before that Audioquest Sydney. Rather surprised that the your cable sounded much better than those two. I suppose having more strand of silver cores doesn’t necessarily mean better sound? I’m actually rather shocked. I really do love your cables. I will probably end up upgrading my brothers system as well, but he isn’t much of audiofreak as I am so, will see. I will get back to you in two weeks. 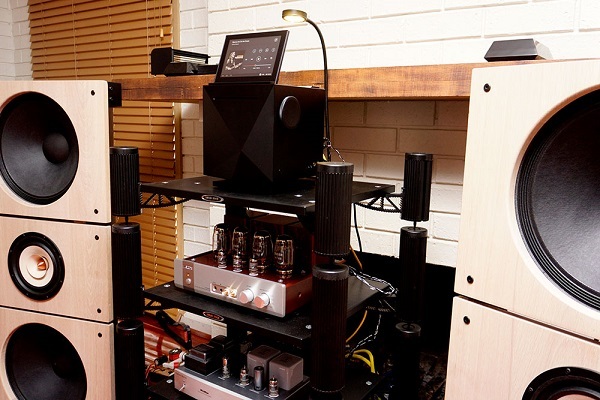 Time to save up my allowances for the Audiocadabra Ultimus Ultra Solid-Core Silver Speaker Cables. Also, do you make cables for Sennheiser 800? If you do let me know. I am enjoying using your Optimus USB cable in my system as it has removed a veil of audio smog that I didn’t even know was there. I’m so impressed with the USB cable that I’d like to buy another one. Is it possible for you to make a USB A to USB micro connector cable? As I would like to use this cable with my Chord Mojo. 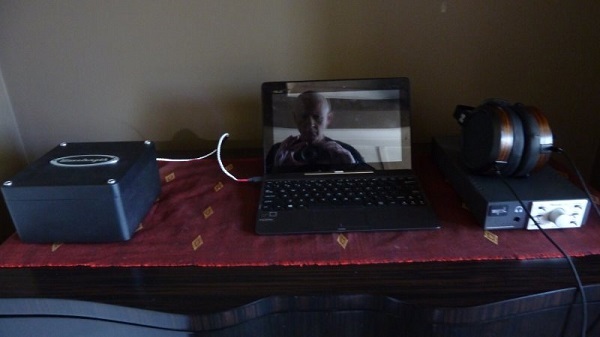 I will take some photo’s of my setup with your cable in situ at the weekend. I’m an older person I have a modest system my computer cannot burn a CD and cannot transfer music from a CD to my computer. 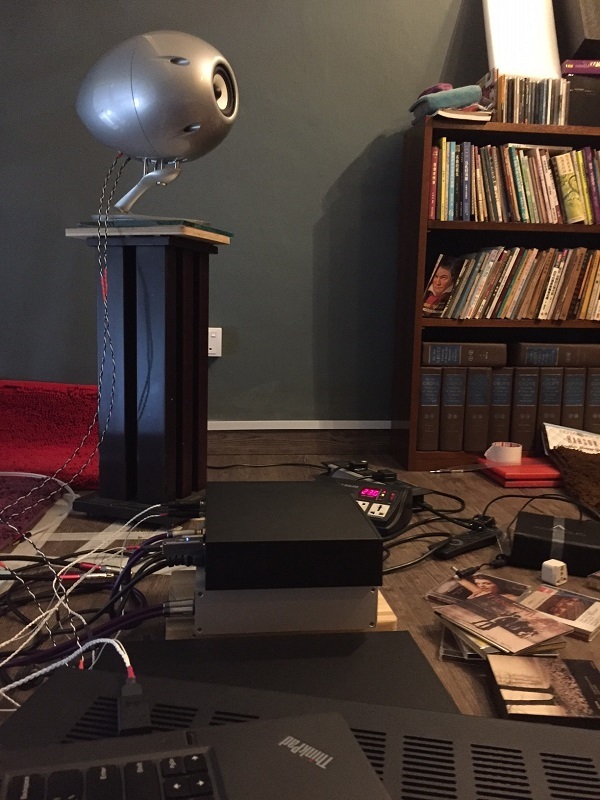 I have refurbished monitor Audio bookshelf speakers with Gold Dome tweeters they sit on 3 black diamond racing Thick Pucks(each) my sub is a 13 year old Bob Carver 12×12 cube which sits on a Bright Star box filled with #9 lead shot on top of 1″ Marble the sub itself sits on 6( 3 on top 3 on bottom with the cones in between) BDR Thick Pucks and Cones, My Dac is an Asus Xonar muses edition the computer is connected to the iFi usb power amp by a 1/2 metre Pangaea 24Ga pure silver then the same from iFi amplifier to the Dac at the Dac there is the iFi Purifier that the Pangea cable connects to,the speakers are Bi-wired with Paul Laduati 24 Ga.pure silver cables Balanced cables from Dac to my Krell 400xi. I installed your cable on the afternoon of June 17th about 8 hours later I played from my computer “Nevermind” by Airto Moreira & The God’s of Jazz from sterophile test CD 3 it begins with a solo piano piece it’s 2 in the morning and I’m hearing Birds singing I say to myself it’s kinda late for the Birds to be singing??? When I realize that they are coming from my speakers!!!! I’m very very familiar with this piece and I’ve never heard the Birds till Now WOW!!! Fugitaboutit!! Here is the really weird part I cannot have a conversation with a standard hardline phone with my left ear all I hear is gibberish my right ear is somewhat better, this was the computer the CD is clearer. Most of my hearing loss is due to working with the USAF B-52 bombers and then 25 years in heavy construction in New York city Yup my ears are definitely compromised I’m SO grateful to be able to hear the Birds!!!! All Due to your cable! 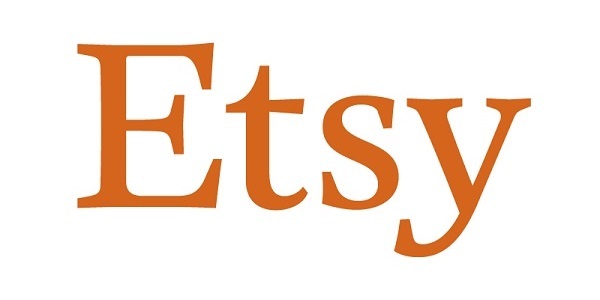 Thanks for your absolutely fine product you have my permission to print my letter on your site. Once again thank you. I had come upon your website rather randomly and purchased your product on impulse, so I can’t honestly say that I had any expectations at all. I can say however, that the impulse was one that has been rewarded. Your cables perform brilliantly and at a price that defines the word ‘bargain’. Well done! One thing I might change, would be to clarify by word or image that the cable pairs are interleaved, rather than separate runs. 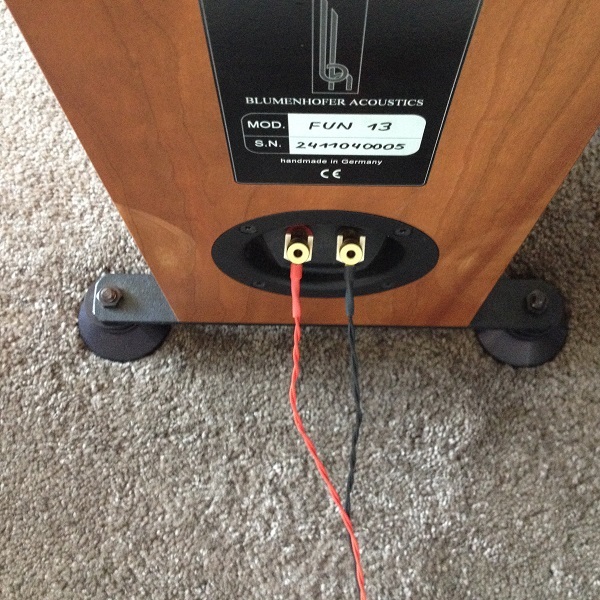 That wasn’t obvious to me, but frankly, I was happy to buy another set to suit my monoblock amps. How can one regret having spare cables of such quality? 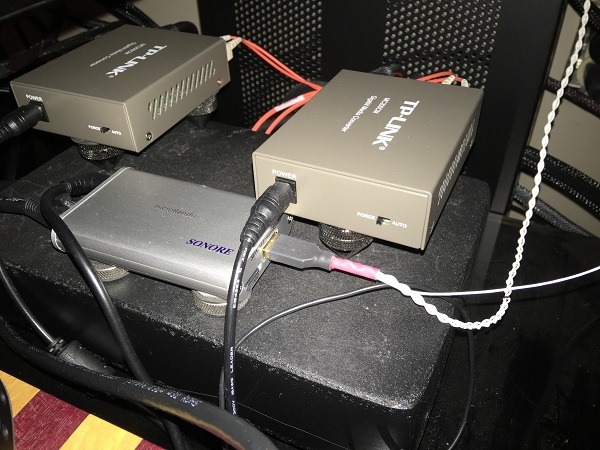 I previously ran signal from my laptop (JRiver) via wi-fi to a media player and from there via toslink/optical cable to my Cary DAC100t. It sounded good. 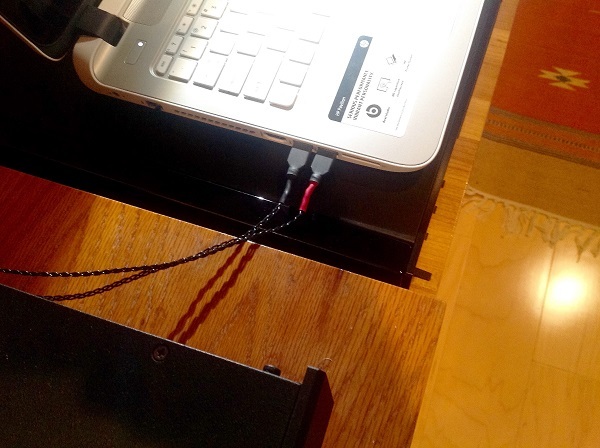 I also tried running standard (printer cable) usb from my laptop to the DAC. It did not sound good. Grainy, harsh. I now run Optimus from the laptop to the DAC. It sounded better than either straight away, though it was quite hard. There was more detail, the bass less muddy or woolly, which is what I experienced with the optical cable. I had read other reviews and opinions (which is why I chose Audiocadabra over Starlight- as recommended by one of your customers). Reviews indicated a long break- in time and I concur. So I have let it play and play and it has certainly improved- less hard and sibilant, smoother and more tonally balanced with a neutral, clear, open and coherent (tight) delivery. I reckon it was money very well spent. It is unfortunate that one cannot audition your cables first (not in South Africa) as my next purchase will be two pairs of balanced cables. Those I definitely need to hear before I buy. 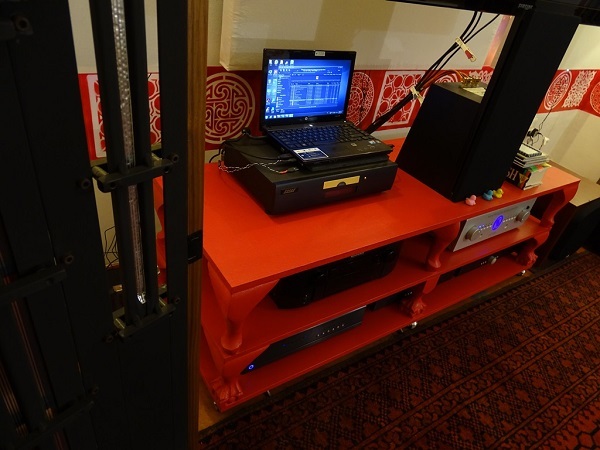 My system: laptop> Cary DAC 100t. 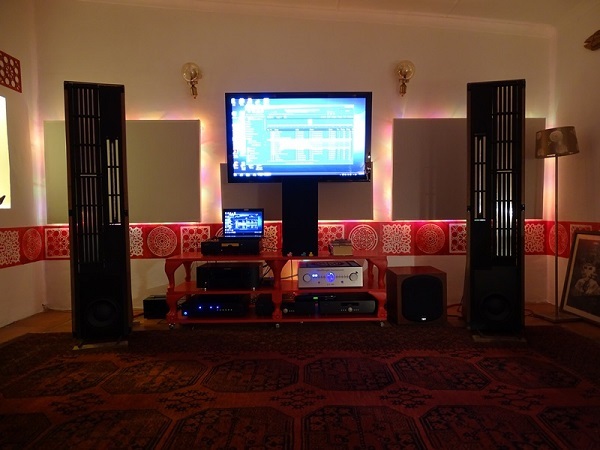 Modwright LS100 preamp> Hypex Ncore400 monoblocks> Eminent Technology LFT8b speakers and B&W ASW700 subwoofer. Acoustic panels. 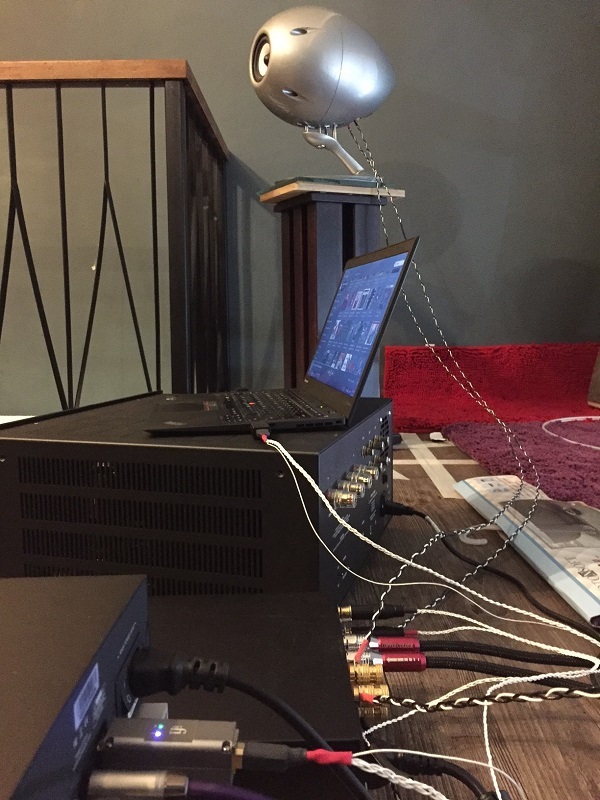 Present interconnects are Cardas pro audio range (not fancy) with Audiomica Dolomit speaker cable. The Optimus goes to the Cary Audio DAC100t, then the Modwright etc etc as per my earlier mail. Oh, the AVR is a Marantz 6005. I’m not a good photographer but my setup looks lovely (to my eyes) with the backlit acoustic panels in my room. I’m a lousy photographer…. I think I’ll listen to some music instead. I switched briefly to my old cables. Yuk! Congratulations on bringing something to market that offers such good value for money. It really is a cable that just gets out of the way- doesn’t interfere or add colouration to the music. Quiet, clear, open and transparent. Product is simply excellent Best cables I have heard. I will order another set soon. Since my initiation into the audio world, 05 decades ago, I always thought that ordinary wires were good enough for good sound. All my life I believed that cables were a gimmick and that they don’t make any difference! 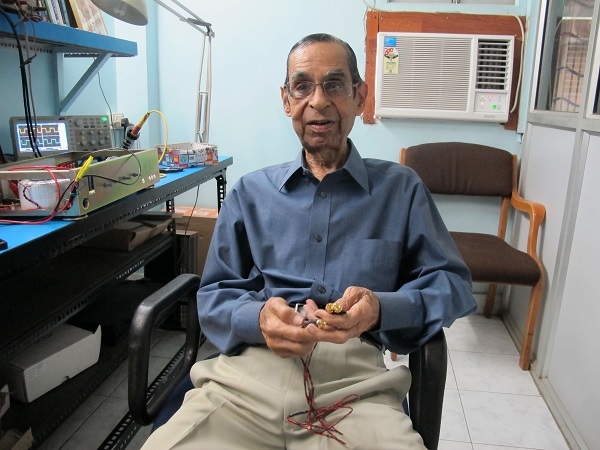 This old perception went for a toss, when I came across audio cables created by Audiocadabra. Never have I experienced such exotic sound. The entire spectrum heard through dedicated headphones or amplifiers is simply mind blowing. 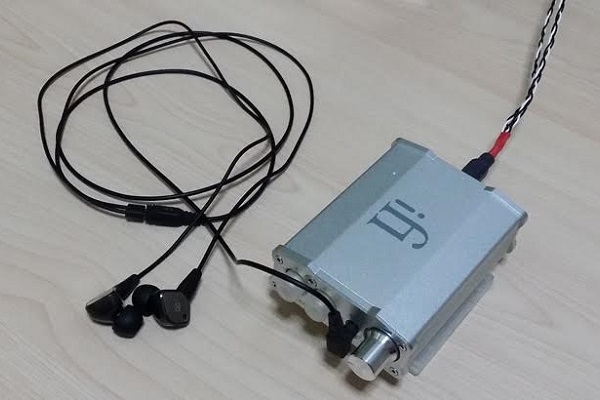 I compared them with audio cables, available locally—Indian, Chinese or Taiwanese, whose sound did not have a pure and transparent sound as the ones handcrafted by Audiocadabra. 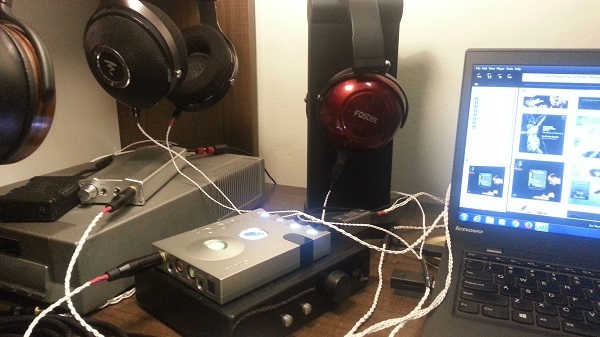 I now use these cables exclusively in my audio demo room in Mahim. 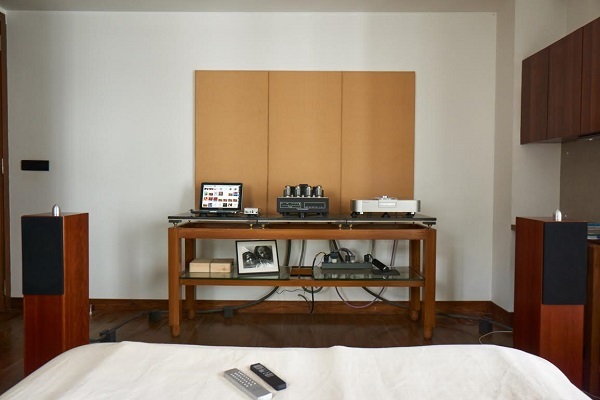 After your last visit, which was one of the most astonishing in my experience, my laptop coupled with a well-known DAC and your cables resulted in “hearing is believing” maxim. I wish Audiocadabra all the best in this wonderful creation. I look forward to trying their higher end premium cables. I highly recommend this brand! I bought the dual head USB cable. I can’t believe the changes it made in my system. I did have to buy a 5V Charger because when I unhook the power side of the USB cable, I would get distortion in the sound. But even when you have both heads hooked up to the CPU it’s still is a major change in sound quality and when I hooked up the charger to the power side of the cable it took it to another level, much more open sound. You would not think that for such a small investment, you could get that much of a sound difference from your system. I love this Cable. The cable has met all my expectations and, in a sense, has even surpassed. 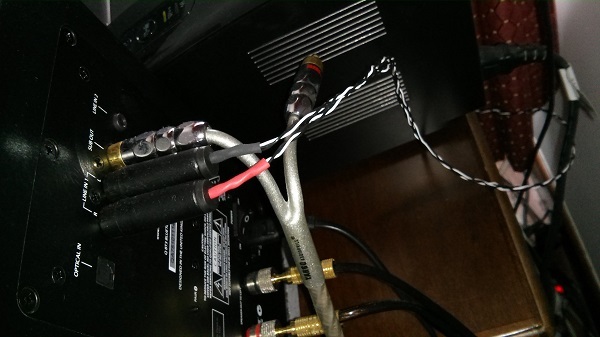 Your cable pushed my system to its fullest possibilities. What impressed me most is the neutrality and openness while maintaining a perfect supply fair timbre. In my opinion it’s hard to ask for more. Congratulations, you are now my benchmark for any future purchase (I also bought the Optimus dual headed USB cable). God bless you! The product is so good that it met all my expectations. The only thing that I would add is a bigger bag will look better with cable inside. I’m using a modest setup that is probably much simpler compared to others. 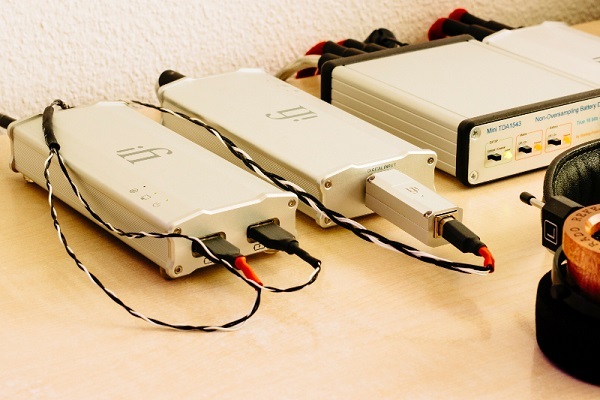 An AQVOX USB power supply for the power source for the iFi iDSD Nano and Sennheiser IE80 IEM. I love how open and transparent the Optimus Dual-Headed USB cable sounded compared to other single head cables I have tried at similar pricing, especially when playing music using the Infinity Blade player. i am very much enjoying the cables and their appearance! 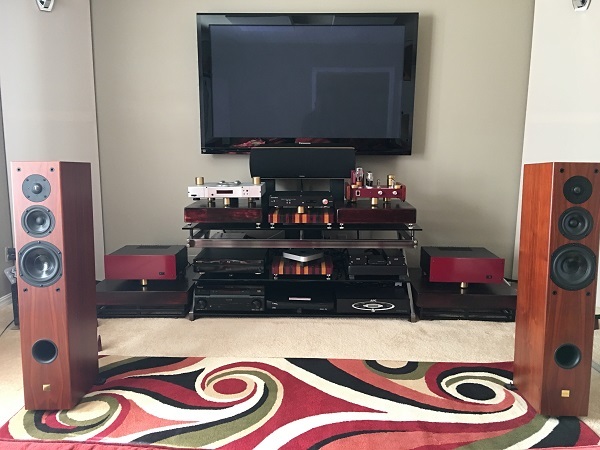 The last three weeks I have listened to your cables in the set with the Unison Research Triode 25 tube amplifier and Blumenhofer Fun 13 loudspeakers. They are flexible. The spades I tightened with pliers. Because the Blumenhofers are more suitable for banana connectors. First impression; clear, clean sound, with good timing and details. After the first week I listened better. In the price category you sell the cable, this is a very good product. I am using this with an iMac running Audirvana connected to a Yellowtec PUC2 (via this cable) which is connected to a Reimyo DAC- Leben CS600 -Tannoy Kensington. I need to get a dedicated source..but not clear. still prefer my Analogue setup. I am happy with what I am hearing so far! so do definitely not see a need for a refund or return. its definitely better than the Home made Y cable I had made. the music is very organic after just an hour of playing it. 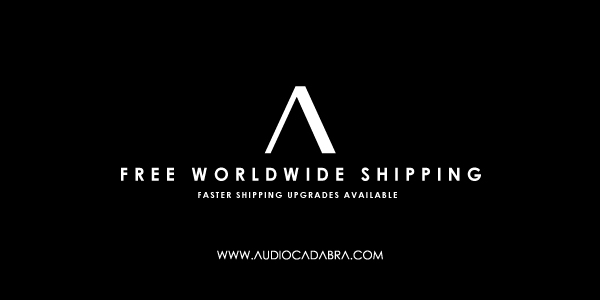 Just received the Audiocadabra cables. They look great! 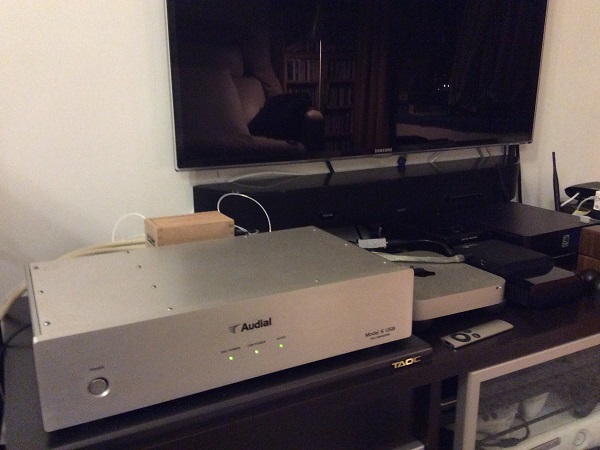 Have placed the Audiocadabra Optimus IC between the DAC and Pre. Let’s see what the sound is like! I decided to put them both in the rig so that they can both burn in at the same time. As soon as I put them in the sound immediately was “lit up” or etched – any silver in the wire? But as the evening progressed the edge wore off leaving the highs a little more pronounced. My thinking is that the bass will open up more with more burn in. It’s there but a little recessed right now. 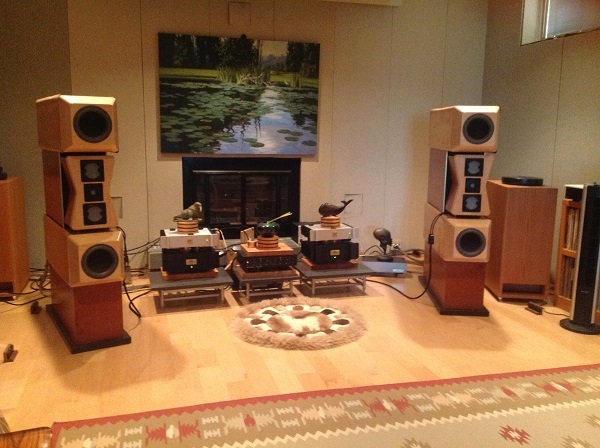 My wife described the initial sound as very “hifi” – slightly harsh with a little glare. We got in about 5-6 hours last night as we let the cables burn in over dinner. They did mellow down a bit after a few hours. As I type this, the harshness is gone but some glare is still there… The connectors are solid and grip the RCA mounts very well. The cable has the minimal Kimber Kable look. Very different from the thick cables from other suppliers. At this point, I have to say I like the Audiocadabra Optimus Dual-Headed USB cable over the Pure Silver USB by Lavrycable from Ukraine. Separating the power wire does help clear up the sound quite a bit. The Lavrycable was with the 5V wire disconnected. I am getting a feeling that the Audiocadabra USB cable has more in the treble than the others I’ve used – maybe giving the impression of more detail. A little more listening time is needed before arriving at any more conclusions. But they do sound very nice and I have enjoyed having them in my setup so far. As you know it took me some time to get these cables in my chain with the other cables I had in for review. This was not a knock on the cables but just the fact that I had got them later so needed to complete my listening to the cables I already had in hand. As luck would have it, travel around Christmas and some long work out of town in January pushed back the time to when I could get some time to listen to these cables. This cable has been in my setup the most – since October I believe. I had been using your cable which you had given me earlier. 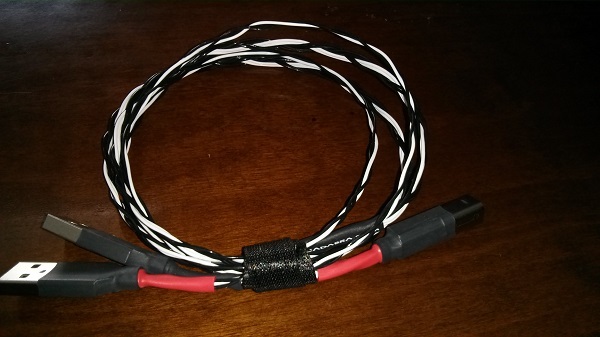 The difference between the cable I had made with the 5V completely eliminated and the Optimus Dual Cable was weight. Changing between the two showed the earlier cable to sound a little thin in general. With the Optimus Dual Head Cable in the chain there was more meat to the sound. The bass extension filled out the mids and lower end. In addition the higher frequencies got more solidity. This is not a subtle change but is easily noticeable the minute you place this cable in the chain. Considering the significant more outlay that other manufacturers are charging for a similar cable this has to be one of the best value propositions out there. The cables do suffer in the looks department but considering the braided bare wire is part of the design one can live with them. Perhaps a little more beef near the connectors might give one more confidence. But looks aside these cables will outdo most cables. I preferred these over a USB cable from Lavry Cable from Estonia which are designed with a different philosophy. With Christmas and January passing, I took the time to let these cables sit in my rig. For about a month and a few days the cables got a little bit of burn in going. With time the cables began to settle in and in time most of the early glare wore off. I began to notice that the cables were actually beginning to sound pretty good. Placed between my DAC and Preamp these sounded as good as the cables I had liked from another supplier. The cables had very good control over the sound. My favorite instrument to evaluate a cable is the upright bass. With your cable the sound of the strings had texture and a springiness that conveyed the pressure the bassist applied to the strings. The piano is another instrument that can be difficult to get right. These cables tightened up the tone of the piano on Piano Improvisations by Ola Gjeilo. People considering these cables should allow for significant burn in as they tend to be lit up initially. With gradual burn in the sound smoothens and opens out. I have them in my setup for about 300 plus hours now. When you take them out they tend to need a little time to settle in when you put them back in. In my setup I would guess this was about 20 hours. These are great cables and I am glad I gave them a chance despite my reservations. The price level is absolutely a steal when compared to many fancy offerings out there. 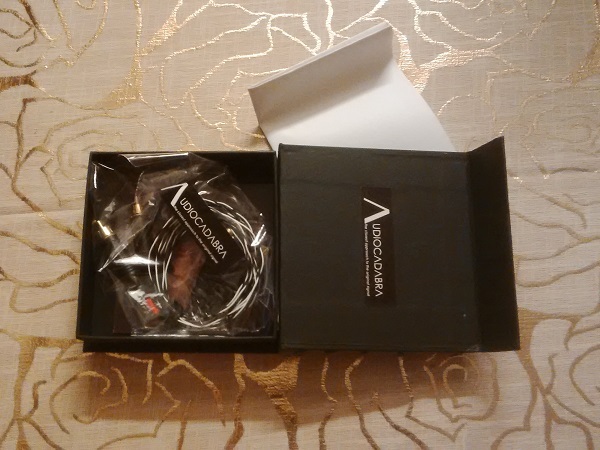 I have no doubt that these cables will surprise many with their quality.